The Duffer brothers must have been fans of E.T, The Thing, Goonies, and Strange Invaders because this series is a mix of all those great films, and a decent throw back to those sci fi/horror classics of the 80's. If you have watched those films more than once, you'll catch the subtle Easter eggs that give a nod to the films that inspired this series. It stars Winona Ryder and Matthew Modine. The soundtrack features some great tracks from the 80's along with score that would John Carpenter smile. The story takes place in 1983, a mid-western town where a boy goes missing and his friends know something is wrong, and decide to search on their own. The town is near a government energy facility where experiments and tests are conducted on the level confidentiality that would interest Agent Mulder of the X-Files. 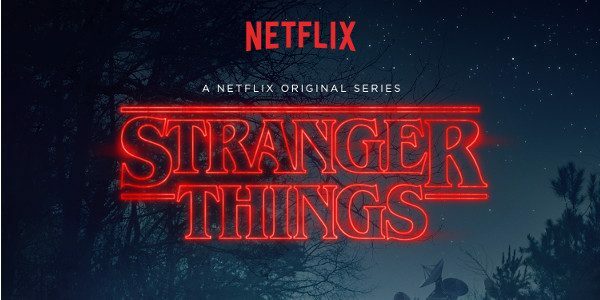 Stranger Things is definitely meant for the 'X' generation crowd but serves as a good segway to revisit the films it attempts to imitate. Check out the intro music in the clip below to see what we mean about the Carpenter-esque music. This eight-episode +Netflix US & Canada original is sure to make the creators popular at future sci-fi/horror conventions and have people impatiently waiting for a longer season of new episodes. Lots of adult language in this one so maybe its not meant for the kiddies.